Update: 27 July 2012 — with the Olympic Games starting today some of the information on this page will become out of date, however many links will still remain useful throughout the Games. 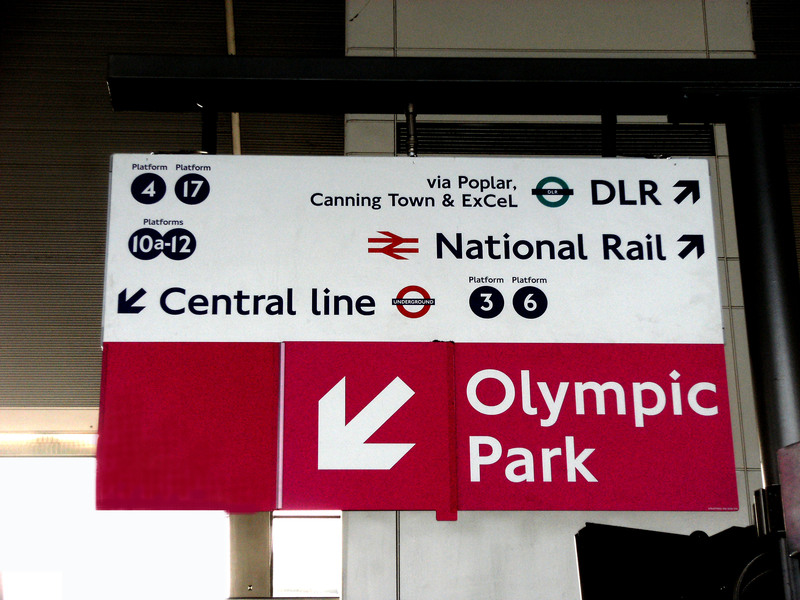 Waltham Forest, which includes Leytonstone, is one of the six London boroughs hosting the Olympics. The whole area is benefitting from the regeneration these projects will bring. For example, Waltham Forest Council has undertaken works the length of Leytonstone High Road, Whipps Cross Road and in Leytonstone Town Centre. See ‘New Look Leytonstone’ for some pictures.. There have been numerous improvement in Leyton and new flats and other buildings are being built all around Stratford and the surrounding area. September 2011 also saw the opening of Westfield Stratford City , the largest shopping centre of its kind in Europe and which links the Olympic Park to the original Stratford Town Centre. A new Docklands Light Railway line linking Stratford International station with the main Stratford station opened on 31 August 2011. Other recent transport improvements include the London Overground service to Richmond and Clapham Junction on the westbound routes and New Cross, West Croydon and Crystal Palace on the southbound section. Work is underway to link the southbound route with Clapham Junction to form a London orbital service. Stratford will also be on the Crossrail service when it opens in a few years’ time. 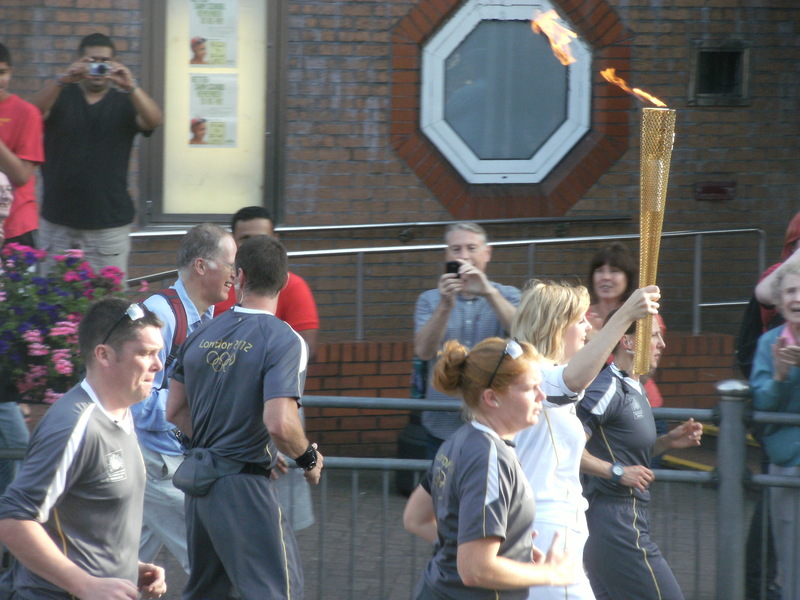 The Olympic torch came to Waltham Forest on Saturday 21 July. The torch was taken from The Eastway along Leyton High Road to the Town Hall (but not through Leytonstone!). The BBC website has details of the Olympic torch route in Waltham Forest. There are a lot of websites about the Olympic games, so I’ve tried to pick some of the top ones that will be most useful for Leytonstone residents and visitors to the area. I will add others if I find them (feel free to recommend any, or let me know using the Contact Form if any links become out of date). Do check with the original sources though: some of this information may change and nothing I have written should be taken as official in any way. If you are a business or local group thinking of promoting or supporting the games in your publicity, do read the section Residents (and Businesses) about brand protection before writing words like ‘Olympics’, ‘London’, ‘2012’, ‘gold’, ‘silver’ ‘bronze’ in anything you produce. Leytonstone is in the London Borough of Waltham Forest, one of the six Olympic Boroughs, along with Newham (which includes Stratford where the Olympic Park is located), Barking and Dagenham, Greenwich, Hackney and Tower Hamlets. London Borough of Waltham Forest ‘It’s happening here’ page summarises and links to all the main aspects of the Olympic Games as they affect Waltham Forest residents. 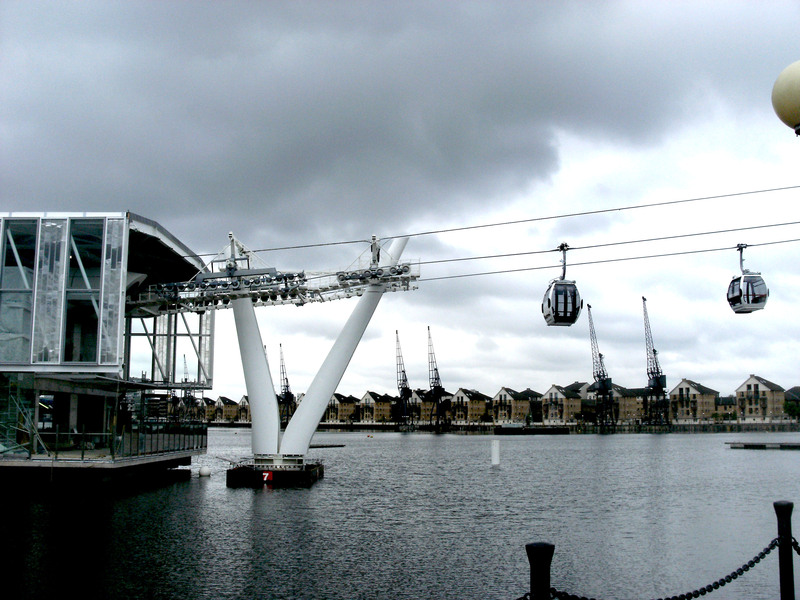 Viewtube is a viewing area, cafe and exhibition near Pudding Mill station on the Docklands Light Railway and will open again in September 2012. For security reasons and final preparations it’s now difficult to view the Olympic Park, though you can see some of the venues and the Olympic village from the Stratford Westfield shopping centre. I’ve heard there are some good, free, viewing areas from John Lewis and Asper’s Casino, though I’ve not tried them myself and you should check for access/opening times. Get Ahead of the Games gives official travel advice for anyone travelling to events, as well as advice for businesses, shops and residents planning for the games period. Get Ahead of the Games Temporary Road Changes Follow this link, put in your postcode and get up to date information about changes in your area. Transport for London runs public transport throughout London including the underground (tube), Docklands Light Railway (DLR), London Overground, buses and night buses, river services and Barclays Cycle hire (otherwise known as ‘Boris bikes’ after the current mayor of London, Boris Johnson). Transport for London is also responsible for road users and management including the congestion charging scheme, emissions zone and licensing taxis and minicabs. Bus map: Stratford (this includes Stratford station, Westfield shopping centre, Stratford town centre shops, the Olympic Park and connections with the O2 in North Greenwich, which is an Olympic venue. Emirates AirLine cable car from the O2 in North Greenwich to near the Excel Centre in Docklands and is due to open in time for the Olympics. See also the travel links at the footer of this page. Search on Google for ‘accommodation for the Olympics’ and you will get a lot of agencies offering accommodation. I won’t provide links here as some look very reputable but one or two don’t and I can’t be the judge. You need to research well, be cautious and be realistic about prices and availability. I have been reading postings on a LinkedIn site for the last few months with people suggesting bringing campervans and parking in the local streets, camping in school playing fields or the local forest. One person wanted hotel rooms for no more than £15 a night, one would only look at accommodation within walking distance of the main stadium (there’s very little, we have good tubes/buses and nightbuses though!). Speaking purely as a local resident, if you are thinking of camping unofficially in the area: don’t! You must find proper accommodation. There will be controlled parking in the streets (and it’s difficult enough to park in London at the best of times), camping in the forest is not allowed at any time, and you simply can’t pitch a tent in schools or anywhere else. We’re very welcoming in East London, but you won’t feel very welcome if you arrive with strange ideas about creating your own unofficial accommodation! See the Waltham Forest Council advice about changes to bin collections during the Games. If you are a local business or local group thinking of using any words associated with the Olympics you need to be aware of the very strict rules laid down by LOCOG about brand protection and infringement of copyright. Even the use of words like ‘London’ and ‘2012’, ‘gold’, ‘silver’ and ‘bronze’ (and many more words and phrases), used in the wrong way could get you into legal problems. These links will give you an idea of how cautious you must be, but they are not guaranteed to be an up-to-date statement of the legal position and you must check with LOCOG directly for advice. Article about LOCOG’s brand protection guidelines from online bulletin The Wall. Includes a link to LOCOG’s Brand Protection Guidelines, but I could not find the original source on the LOCOG website, so do check this is up to date. The Wall is not officially connected in any way to LOCOG. London Legacy Development Corporation includes information about the Queen Elizabeth Olympic Park after the Games. 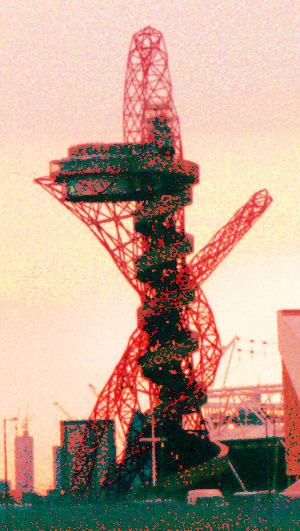 ArcelorMittal Orbit Tower: the story of the red tower overlooking the Olympic Park and plans for its opening during and after the Games. London 2012 Olympic and Paralympic Games Host Borough Survey results: A survey to assess the views, behaviours and attitudes of residents in the London 2012 Olympic and Paralympic host boroughs. Department for Culture, Media and Sport. William Morris Gallery. The William Morris Gallery is closed until July 2012 for improvements, but will open in time for the Olympics. Free and Interactive Historic Olympics Project Presented by the African Heritage and Educational Centre capturing the histories of Caribbean, Nigerian and Jamaican people who lived and worked in the Boroughs of Newham, Hackney, Waltham Forest and Tower Hamlets in the early 1950s.